These Copycat Cracker Barrel Pancakes are easier to make than most pancake recipes you can get your hands on! Just 5 ingredients and 5 minutes to have hot pancakes from scratch on the griddle. I would also like to think they will be the best pancakes you have ever eaten! I am an absolute pancake fiend! From time to time we make trips to Cracker Barrel for my all time favorite pancakes. Unfortunately, it is hard for me to justify paying about $10 for a plate of white flour in a noisy room. The truth is you can make excellent pancakes at home for pennies on the dollar and never have to wait for a table. I have been messing around with pancake recipes for about six months now. I have pretty much tried every option out there. 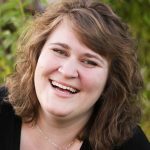 Milk, Belgian buttermilk, low fat buttermilk, cream, loads of butter, flour measurement techniques, sugar options, cooking styles, store bought mixes and on and on. After literally hundreds of pancakes (all dutifully taste tested!) this is my masterpiece of pancake recipes. When I started I did not even know there was such a thing as Belgian buttermilk. It turns out success is all about the simple combination of ingredients and buttering the griddle before every new pancake goes on it. Who would have guessed? Because I know you like simple, I put together a mix option for this recipe too! It is really easy and there is no reason to not make your own mix at home. If you want to whip up a batch of mix to have these handy see the 2nd printable recipe in this post. As you begin, keep in mind that all griddles have different temperatures and the cooking time might be a bit different. When it comes to buttermilk you can make your own at home or buy powdered but with either of those options, results may vary just a touch. The recipe calls for 2 teaspoons of baking soda. I’m not crazy. It’s not a typo. You really need to add 2 teaspoons. Now wait and see who didn’t read this last paragraph and tells me there is a baking soda typo! It also calls for a full teaspoon of salt. If you are sensitive to salt you can try cutting this down to 1/2 teaspoon and see what you think. These pancakes are intended to have more salt and sugar than other recipes (it is part of the Cracker Barrel Secret) but by all means adjust for your needs. So what will it be? Mother’s Day breakfast? A birthday treat? Breakfast for dinner? Late night snack? There is never a bad time for pancakes!!! This is the type of ice cream scoop I use to make the pancakes. Any 4oz scoop of this style will do. 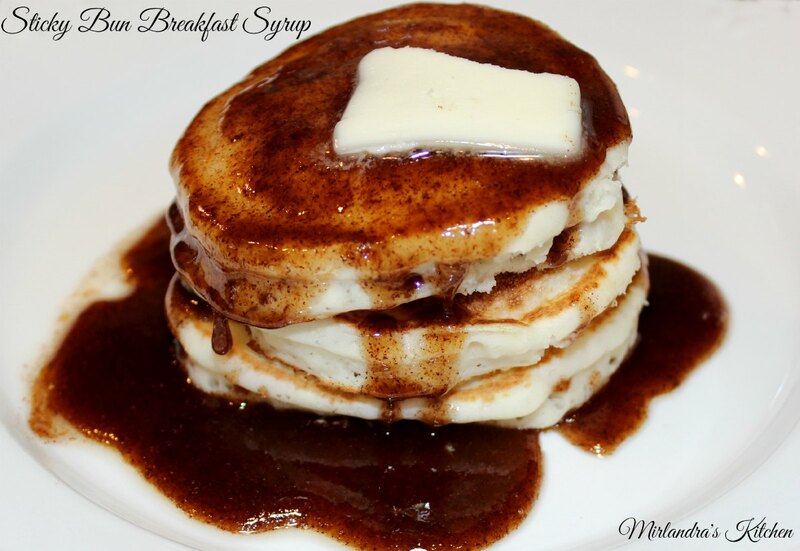 If you are a true pancake nut, make sure you try my Sticky Bun Breakfast Syrup! It is like pouring the gooey cinnamon part of a stick bun all over your pancakes and that, my friends, is perfect! Or maybe you are a blueberry syrup person???? Preheat a pancake griddle to 350. Peel the paper off of one end of a stick of butter and set on a plate next to the griddle for greasing. Whisk eggs and buttermilk together in a medium bowl. Add flour*, baking soda, salt, and sugar. Whisk just until combined. Rub butter in a circle on the griddle and drop 1/2 cup of batter into the butter spot. I like to use a large ice cream scoop for this. As soon as the batter hits the griddle, level it out and smooth it quickly into a circle with the back of the ice cream scoop. The pancakes should be flipped when the 2nd bubble pops. This will take about two minutes on most griddles. Flip the pancake and cook on the second side until no longer doughy. 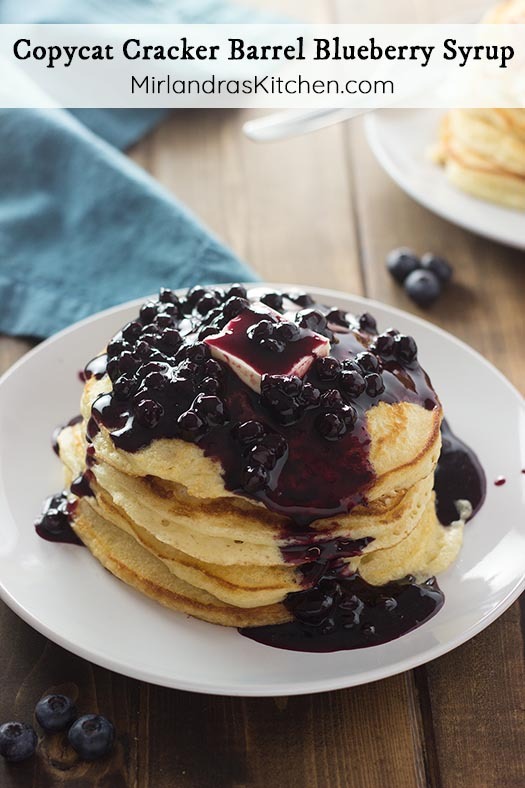 To Make Pancake Mix: As easy as this recipe is you can also make it up as a mix and then have homemade pancake mix at the ready whenever you like! Fair warning, before you know it, you might find these tasty pancakes sneaking into the weekday breakfast routine. You can mix up six or 12 pancakes at a time. I find that six feeds two pretty hungry adults. If you make more than 12 at a time the batter gets a bit harder to stir together. Also, make sure to cook the batter quickly - it does not do well if you let it sit a long time before cooking. Leftover batter should be discarded. Whisk together all ingredients and store in an airtight container with cooking directions. To make 6 pancakes whisk together 1 cup + 1 Tbsp. low fat buttermilk with 1 egg. Gently whisk in 1 cup of mix and cook as directed above. The best way to measure the flour is to spoon it into the measuring cup and then level it off. This will help ensure you don't pack too much flour into these tender pancakes. Makes 12 pancakes. A child will probably eat one, most adults will eat 2-3. Recipe adapted from one posted on Food.com that says it is from the Cracker Barrel Cookbook. 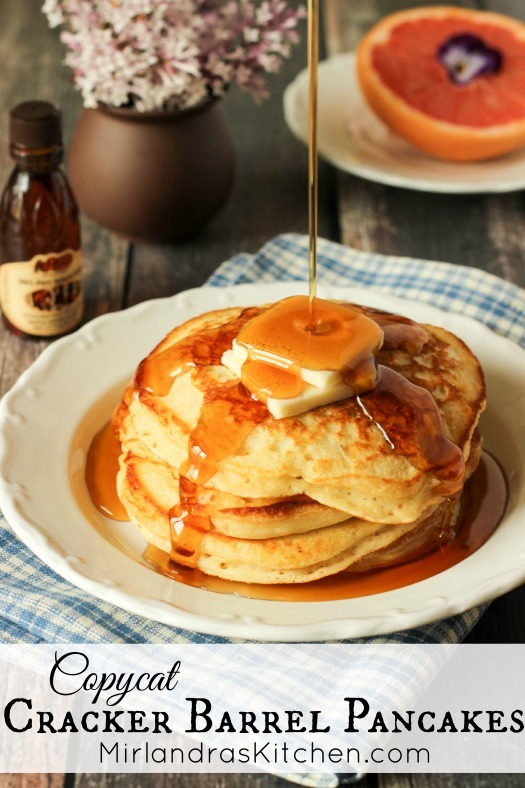 Love Cracker Barrel Pancakes…can’t wait to try this recipe! Thanks for sharing. Have you ever frozen the pancakes? I have not. They go fast at our house! Some pancakes freeze better than others. I suggest freezing one for a test to find out. Yeah! I am so glad you enjoyed them!!! YUMMERS! Thanks so much for sharing this glorious recipe with us at Weekend Potluck. Please come back again soon. Thank you! I adore these pancakes (and pancakes in general). I’m very glad so many people loved the recipe! I always enjoy hanging out with you ladies. See you again next week! Substitute vanilla ice cream for milk, makes a very tasty pancake!! Oh mercy, that does sound good! I made these at 5am today during the morning rush before school and work. Followed the recipe exactly and they turned out FANTASTIC! I highly recommend this recipe. We just went to cracker barrel 2 days ago and these taste just the same. Crispy outside, fluffy inside. Served with some good applewood bacon and blackberries and my home made syrup (of course). Thanks for the recipe! Oh yum – I want breakfast at your house! So glad you all enjoyed it! I would love to know your recipe on your homemade syrup. Breakfast at your house sounds delicious. I made these and it was like a restaurant delivered the best pancakes ever right to my house. SO GOOD!!! Unfortunately, the container of buttermilk I bought contained more than 2 cups, so I have to make another batch today. Rats! Yeah…they are on the addictive side. I always loved pancakes but now, well, this is dangerous ground! if you make a large batch how long does the batter last? Once you make the batter you need to cook it right away. I left one batch sitting for 45 minutes or so while I was arranging props to take photos (pancakes are hard to photograph) and the pancakes were less nice when I went to cook the batter. My suggestion if you need to make more than four batches is to make up the mix and then just make a batch or two at a time as you cook. Unfortunately, it is the price we pay for such a light, fluffy and tender pancake. I was so excited to give this recipe a try. I followed the instructions exactly. I ended up with a very runny batter. I have no idea where I went wrong. The very flat pancakes did have a good taste! I’m sorry to hear that! Sometimes in cooking something little manages to create a weird problem. The first thing to check is to make sure you are measuring all of the ingredients exactly. I spooned flour into measuring cups and leveled it off with a knife. Make sure you are using a liquid specific measuring cup for the liquid. If you are using eggs from your own chickens you could be using an abnormally large egg. The next thing is to make sure you have the correct kind of buttermilk. It needs to be low fat (1%) buttermilk and not a vinegar and milk substitution or reconstituted from powdered buttermilk. If measurement is not an issue try reducing the buttermilk by about 1/3 of a cup and see how it comes together for you. I have used a range of buttermilk measurements and you can adjust this to taste more or less. Also, just make sure your baking soda is not ancient. If it is far enough expired you can run into problems. I hope that helps! I had the same issue – very runny, and I did measure correctly and used the right buttermilk. I used less than 1 tsp of salt, and greased the pan with unsalted butter, but they still tasted too salty to me and my family. Worth trying, but still not my personal favorite pancake. Mine turned out the same way. Very runny. I have some notes above in response to Betty that might be helpful. It is a thinner batter but cooks up as shown in the picture. A thinner pancake but plenty fluffy. If you are looking for something thicker you might want a different recipe 🙂 I hope you find our perfect pancake! Hello, Do you think I could use rice milk instead or almond? Rice milk and almond milk have different consistencies and do not activate the leavening the same way buttermilk does. Great recipes are discovered through experimentation and I think it is wonderful to try new things but I suspect this would not be a successful substitution. I think you might be able to use a lactose free type of milk with a little vinegar though. I live in Canada, where we aren’t fortunate enough to have the Cracker Barrel restaurant chain … but I have fallen in love with them on my travels to the States, so I was very excited to come across this recipe! I have to say, these pancakes were superb! Your recipe was so well-written and your cooking tips really helped me make the best pancakes I have ever cooked. My 2 1/2 year old daughter had a lot of fun helping with the recipe too. 🙂 Thanks so much, this one is going in our weekend brunch rotation and I will be taking a peek at your other recipes too! Thank you so much!!! I’m so honored to be a part of your family tradition. We can’t get enough of these pancakes and they are frequent additions to our weekends and even a few weeknights. I’m sure your daughter is a lucky girl. Getting to cook with mom is a great part of growing up! If you like breakfast dishes, you might also like my Creme Brulee French Toast. It is easy and family friendly. You can find it in the recipe index under breakfast recipes. Milandra – what a pretty name!! First time to your site, found the pancake recipe on Pinterest, and needed something sort of quick to make for my 8 yr old and her sleepover friends.. After breakfast, they all sprawled out on the floor talking about how their bellies were about to burst, and that they’ve never had better pancakes!!! I have to agree, they’re delicious and could be very very dangerous! (I also did not have buttermilk, so subbed milk and vinegar, still delish!!!!!) Thank you! Oh that sounds like a perfect sleepover! What lucky girls. Thank you for telling me. Knowing they had so much fun with the recipe is a lovely start to my day! I find them a bit dangerous too, if I’m being honest. This week I needed to buy buttermilk for another project and convinced myself I just had to buy extra and make pancakes this weekend. Great cooking site. Love your recipes. Have a question, though? Why the low fat buttermilk. I don’t buy low fat anything. That is a good question, Sue. I don’t advocate many low fat foods myself. In this case “low fat” buttermilk is what most stores carry and what is generally used for baking. It is a good product I think you will be happy with. It is possible to get a higher fat content buttermilk but it is a specialty product and hard to find. I was curious if it would make a difference in the pancakes so we tracked it down and did try it. In the end we found that it did not make good pancakes. Go figure! I think you will be happy with the results as written. Enjoy! If I use milk and vinegar , what do you think would be their measurements? The general rule of thumb is to put 1 Tbsp. of white vinegar into a measuring cup and fill to the 1 cup line with whole milk. Let it set for 15-30 minutes and then use. I hope that helps. I read comments about runny batter. A trick to all pancakes are to wiskey up all ingredients until just mixed then let the batter set until it bubbles. Letting it rest will give you fluffier and lighter pancakes. My family adores Cracker barrel pancakes. These did NOT disappoint! Thanks for sharing! Thanks! I am so glad you enjoyed making them. Is it okay to use self-rising flour? If a recipe does not call for self-rising you should not use it. Self-rising flour has leavening already included with the flour so it will mess up what you are making. You might be able to find a conversion chart on Google that would allow you to use it if you want to try to do the conversion. I tried several batches using vinegar and 2% milk to make the buttermilk. It turned out very runny and the taste was too “eggy.” The next week I bought “fat free” buttermilk (they didn’t have 1%) and the pancakes turned out perfect. The taste was much better and egg taste was not as prevalent. Thanks for the recipe. I just wish I could use vinegar or lemon juice for buttermilk as we never use buttermilk for anything else and so I’ll waste a lot of buttermilk. I have found the same to be true with a substitution of this nature for this recipe. Sometimes I have had better luck letting the vinegar and milk sit and curdle for about 20 minutes before use but it is still not quite the same. Some stores carry small containers of buttermilk – just a cup or two. I also personally use buttermilk for some weeks past the date which it expires. Some people are comfortable doing that and others not. But that saves us the hassle of having it go bad. I just now found your page, so I haven’t had time to try it…that comes tomorrow! But I wanted to bring up the idea of pre measuring the left over buttermilk and freezing it. This works for other recipes with milk and buttermilk. I am the person who usually does the vinegar thing but for these I’ll buy 1% buttermilk. Thanks in advance for the recipe. Thanks, Terri! A friend recently told me she does this too and I’m planning to try it when I buy buttermilk next week. Yum! Yum! Gobble! Gobble! 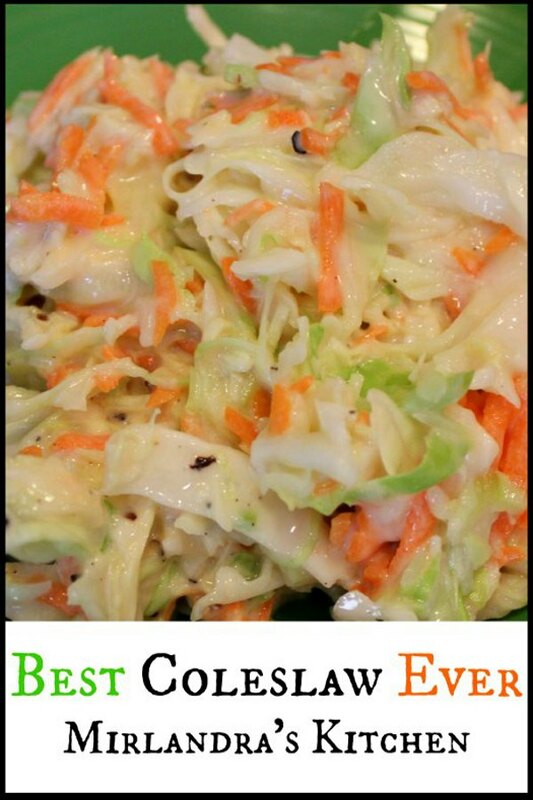 Thanks so much for sharing this awesome recipe with us at Weekend Potluck. I keep buttermilk in the freezer so I can have it handy for recipes like this. I am glad you enjoyed it! Somehow I feel like Pancakes just make life better! How could they not? I have never tried freezing buttermilk but now I plan to give it a try. Thanks for the great tip! Yummy!!! The pancakes look so good, Mirlandra! And the pics are gorgeous too. Thanks for sharing! You specify to use only 1 % buttermilk, hubby bought whole buttetmilk. What should I expect? Could I possibly water it down? I’ve been dying to try rhese. I wanted to update you on my try at these pancakes. They are undoubtedly the fluffiest, lightest, most scrumptious pancakes I have ever made…period! These are my new go to recipe…there are no other. Now, about the buttermilk, all I had was whole, so I used it but went a little shy of the full amount then finished it with water hoping to thin it down amount a bit. It must have worked okay, they were great. I did add a bit of good vanilla extract also. Thank you for a wonderful no fail recipe that I will keep and pass down to my girls. I’m SO glad you loved them so much! The whole buttermilk just gives a bit of a different texture. It sounds like your trick to thin it a bit worked great! Couldn’t rustle up my 18 year old to go have breakfast with me at Cracker Barrel, ended up here! Made buttermilk with skim and lemon juice. Batter was runny and pancakes tasted great except were not fluffy at all! The first thing to check is always measurements but I will say in my experience making buttermilk from vinegar and 2% that I don’t get fluffy pancakes. My fluffy pancakes have been from using traditional store bought buttermilk. Some readers said they got good results with a quick home made buttermilk that they let sit and curdle for some time before using it. I suspect they might have reduced the amount of liquid a bit which could have helped too. Probably your best bet is to try using store bought buttermilk and be careful to measure everything exactly. I would expect that to solve all your problems. If not try reducing the amount of buttermilk you are using by about 1/4-1/8 cup and see if that helps. Made these this morning and they were fantastic! Used lowfat buttermilk (label didn’t specify fat content, but nutritional info showed same day content as 1% milk). This recipe will be replacing my former favorite pancake recipe. Thanks Mirlandra! For twenty years I have used a similar but slightly different recipe. My recipe has 1/4 cup oil in the batter. For freezing…here is the trick that works for almost everything! after cooking the pancakes – decide on a serving size or portion size you prefer. I would choose 3 pancakes. Wrap the serving/portion in Saran Wrap or plastic wrap then place the wrapped portion in a large ziplock bag. Continue wrapping portions until all have been used. Label the zip lock bag with name and date. Freeze. Then you can retrieve one serving at a time to thaw, microwave and enjoy! I use this technique with French Toast, cornbread, cake – well almost anything! It prevents a glob of frozen together food as well as prevents freezer burn. It is very helpful for someone who lives alone. It is also great to prepare a batch for kids who might fend for themselves from time to time. It gives them something to eat without having to cook at that exact moment! I do this with uncooked bacon, too. Even uncooked chicken breasts. I love these Pancakes! They’re delicious. Keep it up! SO GOOD! And easy! The whole fam loved them. I’m so glad to hear that! I spent yesterday shooting a blueberry version and an amazing wild blueberry syrup to go with! Those recipes will be live in the next few weeks. Stay tuned! I made mine with frozen blueberries, they were ah-mazing! I want to try banana pancakes, too. My son would be in heaven! I should totally make him some banana ones soon! Good question! I don’t in this recipe. If I ever call for it in a recipe I will specify! This recipe is good and easy. I only put 1/2 tsp. of salt vs. 1 tsp. But the only thing I would change I would use oil to on the griddled. I’m just not a big fan of butter. The pancakes I made using oil on the griddle where more cake like and not as soggy looking. Yes! Using a different kind of fat creates a very different pancake! We love the butter ones here but plenty of room in the pancake world for different tastes. Glad you found something you liked. Cook on!